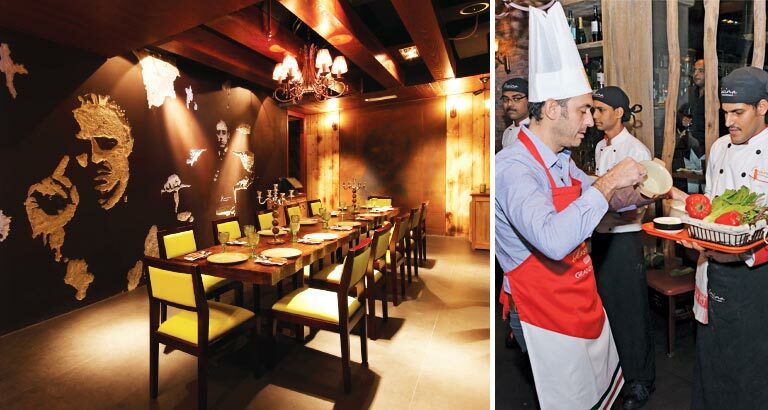 Set in the heart of the bustling district of Juffair, Cucina Italiana has been a firm favourite for its warm atmosphere and authentic Italian cuisine, with wood-oven pizza, since it launched in 2011. Renowned for its fresh ingredients and homemade pastas, the eatery conducts regular cooking classes and demonstrations and it’s about to launch season five of its popular annual cooking competition – Cucina Italiana Master Chef – which sees participants battling it out over several weeks for the coveted black apron. The first heat gets under way on January 14, with six elimination rounds running over Sundays and Tuesdays for the following weeks. In the first round, 36 contestants will compete against each other with two being chosen from each heat to go through to round two – the semi-final – taking place over two evenings, February 4 and 6. From this challenge, four will be chosen to go through to the final and battle for the chance to be crowned Italian Master Chef 2018. Ingredients will be provided by the restaurant and, throughout the competition, the executive chef and two sous chefs will be on hand to assist and observe. To take home the prize, contestants will need to impress the expert judges with dishes being scored on: Taste and texture – does the dish make you want more? Presentation – does it have that wow factor that would make it suitable as a restaurant dish? Authenticity – is it Italian using Italian cooking methods? And balance and portioning – is the serving the right size for one person and are the ingredients and taste balanced? No written instructions are allowed at all, so competitors have to know their recipes from memory. They will also be quizzed on their dishes and the answers may influence the scoring. Entry is BD10 and registration is now open. For more details regarding the competition email manager@cucinaitaliana.com.bh or check out social media on Facebook: Cucina Italiana Bahrain, Instagram: CucinaItalianaBahrain and Twitter CucinaBahrain.